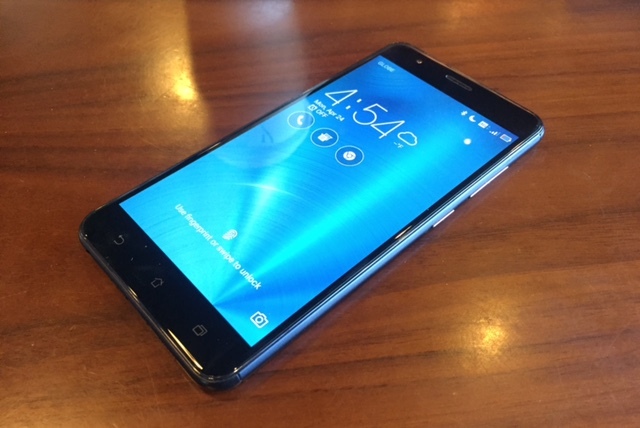 We took the Asus Zenfone 3 Zoom for a spin and so far, it has been exceeding expectations. Here's our unboxing experience. Asus Zenfone 3 Zoom is defined by two of the most sought-after features in a smartphone - the camera and battery capacity. Since its announcement in CES 2017, we have been very eager to lay our hands on this compelling masterpiece. Now that it has landed in our HQ, we are very eager to share our unboxing of the handset to you guys. 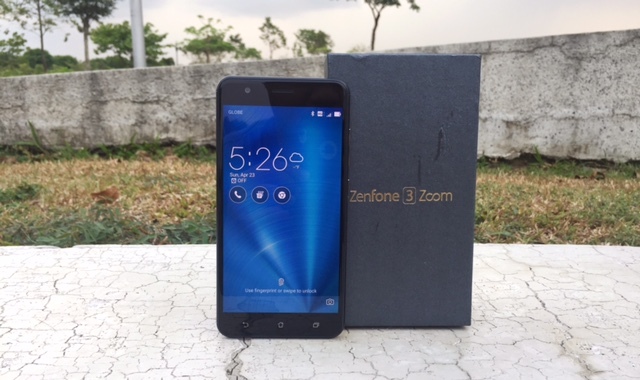 So let's not keep you waiting, join us as we unbox the Asus Zenfone 3 Zoom. The first thing that we notice after getting the phone out of the box is the dual-lens set-up. This one gives shade to the iPhone 7 Plus and any other dual-camera smartphone set-up. For starters, the handset boasts two 12MP rear cameras. One of which deploys the Sony IMX362 which is capable of up to 2.3x optical zoom and 12x digital zoom. These lenses come with f/1.7 and f/2.8 apertures. This combined camera set-up shoots 4K videos and is equipped with Phase Detection Autofocus. 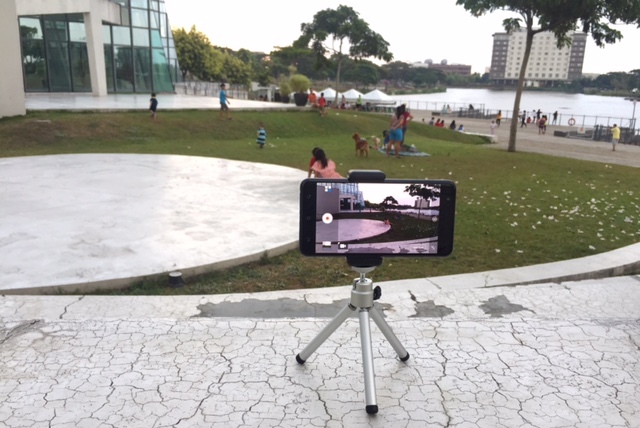 Our first couple of shots convinces us that this is definitely a camera-centric handset. Portrait modes and software effects always come in handy with the Asus Zenfone 3 Zoom. Accompanying the camera module on the back panel is the laser autofocus blaster and the squarish fingerprint sensor. 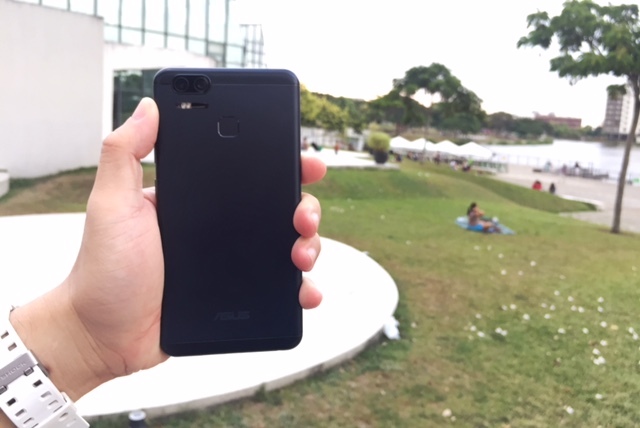 Just like the standard Zenfone 3, the Asus branding is still in the lower portion of the rear panel. On the flip side, you'll see the 5.5-inch Full HD AMOLED display treated with 2.5D glass. This Gorilla Glass 5-treated display registers a 70-percent screen-to-body ratio. The front panel also houses the proximity sensors and the still non-lit capacitive buttons - back, home and menu. Of course, let's not forget about the 13MP Sony IMX214 front-facing camera which, from the looks of it, could deliver great social media selfies with Beautification mode and 140-degree panorama mode. Despite having a juicy 5000 mAh battery, the Asus Zenfone 3 Zoom is cased in an acceptable thin chassis. In fact, it's one of, if not the thinnest smartphones with the 5K mAh rating. The thought of having a bigger battery life coupled with great camera and full HD display instantly proves that the Zenfone 3 Zoom is the most reliable smartphone in terms of mobile photography. For Asus, that's 48 hours of talk time and a whopping 42 days of standby. Let's talk about the sides. The bottom side houses the USB Type C (which is now a flagship standard), speaker grill and 3.5-mm audio jack. You’ll see the volume rocker and the power button on the right side and the SIM tray on the left. 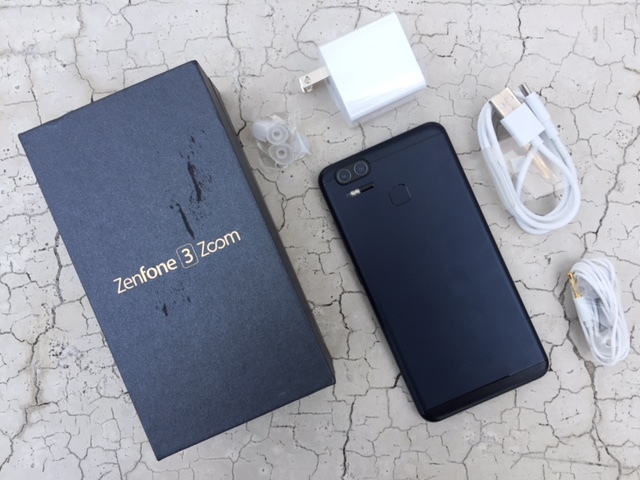 Our Asus Zenfone 3 Zoom review unit box is similar to the standard Zenfone 3 box. However, a limited number of retail units have different packaging since they are bundled with a speaker and other Zen accessories. As expected the Zenfone 3 Zoom is snappy knowing the fact that it carries the same hardware as the regular Zenfone 3. Camera performs well even in lowlight. Our few dozens of shots outputs great photos with vivid color registers and contrast. In terms of the battery, we are at awe. I have never used this wisely-designed smartphone that can delivery up to 48 hours of battery life in normal usage. The Hi-Fi speaker is also one of the best deal makers of the handset – great frequency range and balanced tones. I love it because the bass doesn’t over power other tones. We are very excited to make the Zenfone 3 Zoom our daily driver. Stay tuned as we get down with the details in our full review.